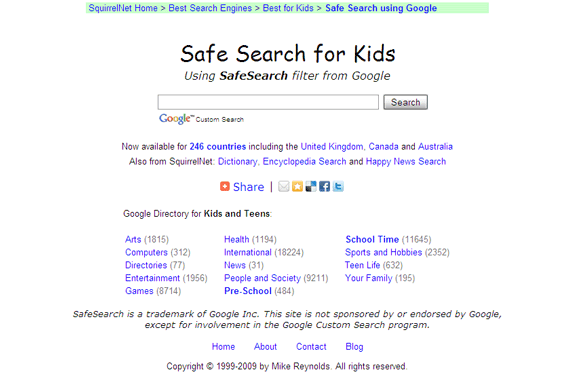 Following Safer Internet Day last week, we h ave compiled a list of 'safe' search engines for children to use as an alternative to Google and other similar sites. 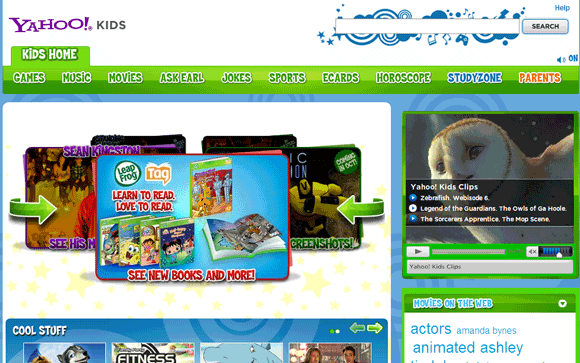 Quintura for Kids is powered by Yahoo. 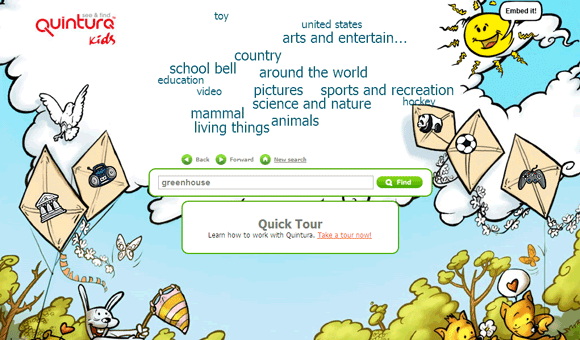 It gives a more visual way of searching using a keyword cloud. 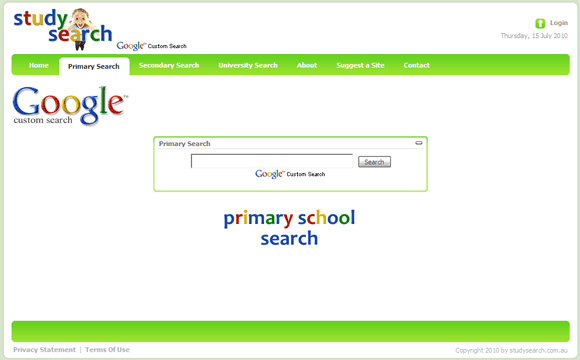 You start off your search with a keyword in the text box and then modify it with any of the keywords in the cloud. 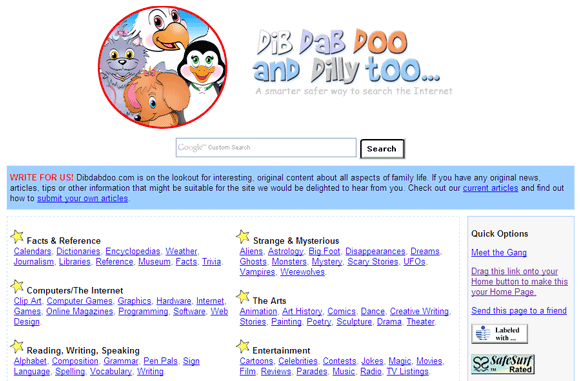 Quintura displays five results per page. You may miss it, but clicking on the surrounding icons takes you to the five preset search categories ““ Music, History, Animals, Sports and recreation, and Games. 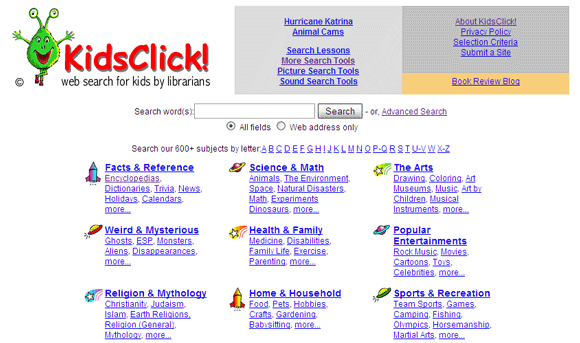 Ask Kids is a search engine for kids from Ask.com’s pool of web resources. 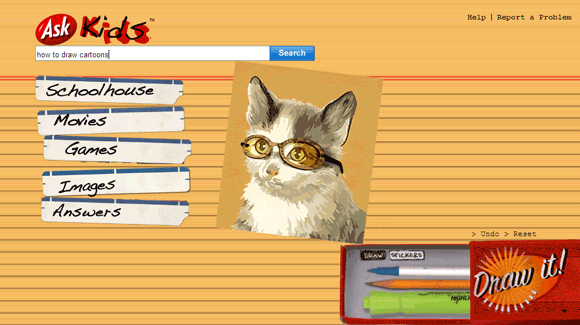 The search page resembles a school note book. 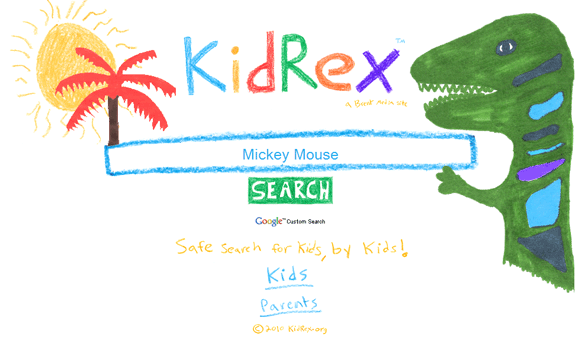 Apart from the search box, five preset search categories –Schoolhouse, Movies, Games, Videos and Images, help out the kiddies research all kinds of stuff.